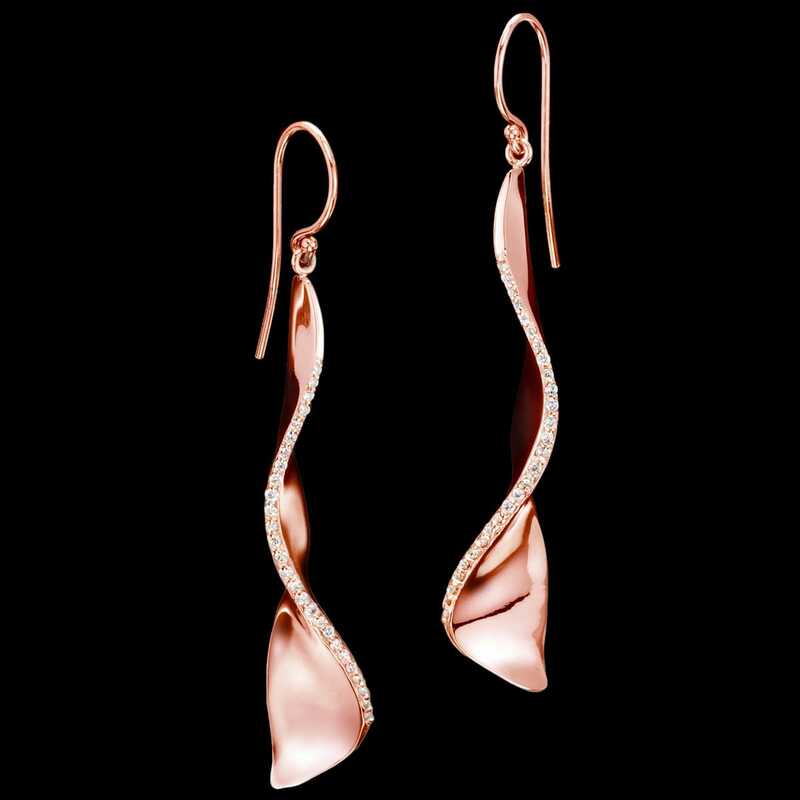 Covet diamond earrings are curvaceous and enchanting. 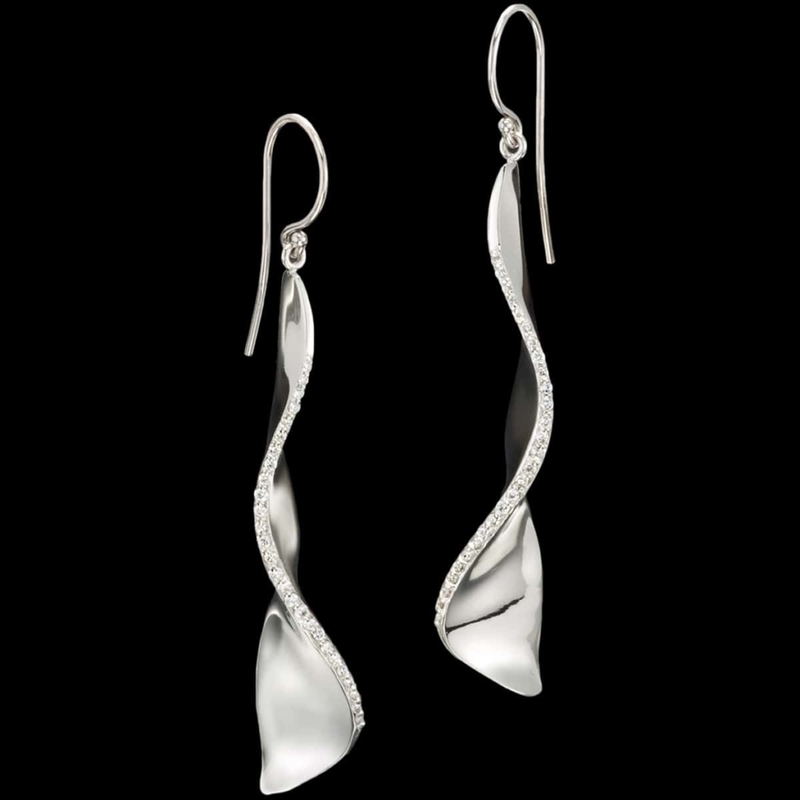 This unique earring design features diamonds sparkling from undulating white gold forms. Also available in rose gold or yellow gold, and in a Petit size variation. To purchase, call (949) 715-0953 or use our contact form below.